Tracey Sandilands holds a Bachelor's degree in Communications and English from the University of South Africa, a Diploma in Public Relations and Journalism from Damelin Management School and a Certification in Business Management from York University in Toronto. After a long career in marketing and communications, including three years as a member of the South African press and Editor of Property24, she relocated to Toronto to take up the position of Executive Director of Pride Toronto. Two tumultuous years in this role saw the successful management of two annual Pride festivals with attendance of 1,2m and economic benefit of $136m for Toronto. Tracey has now returned to her first love - communications - and is currently the CEO of MediaWorld Toronto. This successful start-up provides search engine-optimized web content, business blogging and press releases for small and medium-sized businesses. 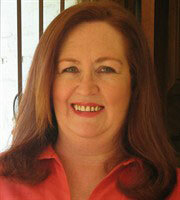 She is also a published author and founder of Roofing 101. Click here for freelance writing rates and samples. Visionary and highly accomplished executive with verifiable successes building corporate and community stewardship, leading marketing communications and managing administration. Utilizes a persuasive approach alongside strong communication skills to gain corporate and philanthropic support and donations. Motivational coach and mentor to staff and volunteers, empowers teams with the energy, tools and strategies to deliver exceptional results in tight time frames. Brings a tremendous level of creativity, a genuine sense of passion and integrity, and a tireless, goal-driven work ethic. Blends a collaborative, engaging leadership style with strategic focus and decisiveness. Champions and models personal and professional integrity in all endeavours, fostering trust in all levels of organization.